Salvador Dali said at the age of six he wanted to be a cook; at seven he wanted to be Napoleon. 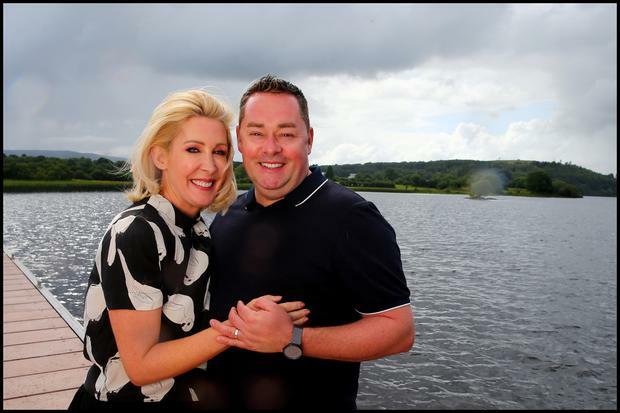 As a young child, Neven Maguire wanted to be a great cook. He slept with cook books and dreamt of recipes that he would cook one day in his own restaurant. And his ambition grew steadily from there. Napoleon Bonaparte notwithstanding, ambitious young Neven Maguire was the first boy in his secondary school to enrol for home economics classes. He was called a sissy and worse for wanting to do this. The young boy from a little village in west Cavan was, in fact, already a genius in the making, someone who would be heralded internationally and whose cherubic smiling face would be rarely off our television screens or our book shelves. Out on the nation’s book shelves next week, his latest book has the title that might resonate with some of those who called him a sissy in school — Neven Maguire’s Home Economics for Life. When I ask Amelda how she would describe her famous husband, his face turns the hue of one of his medium rare steaks. “Will I leave?” Neven Maguire asks. I was going to ask as a lover, I say, but I won’t! “Marks out of 10?” I joke. Neven and Amelda are now practically rolling with laughter on the floor of their award-winning restaurant and guest house in Co Cavan. Amelda: “Now you’re putting me off-track about all the things I was going to say because of how you are going to interpret them. He is just full of life. Passionate about everything. The kids. His work. Life. He certainly has twice the energy that I have. He is thoughtful. He is definitely a people person. He loves people.” (That much was obvious from when he first appeared on television. The permanently bright-eyed and bushy-tailed Maguire hasn’t looked back since he got his big break through John Masterson in Open House in 1989 with Marty Whelan and Mary Kennedy, every Tuesday afternoon for five years on RTE. “My dad used to drive me up and down to RTE. I was just 21. I loved it.” It showed. “She is a very special lady,” says Neven of his muse, Amelda. “We love our time together.” Evidently. They train together in the gym in their home down the road. “I might fast-track it but she does it right.” Having known each other to see, Amelda (also Maguire) from Boho, Co Fermanagh and Neven, from just across the border in Blacklion in west Cavan, met in CP’s nightclub in Galway when Neven was visiting his sister Sharon in January, 2001. They hit it off sufficiently for Neven to ask her out on their first date. How long after that date did she and Neven realise this was serious? Did she pass the test, I ask Neven. Mrs Maguire needn’t have worried. The couple got married on December 23, 2006, at the Nuremore Hotel in Monaghan, before going on honeymoon to Bali, New Zealand and Australia, having set up home in Blacklion. Upon their return from Down Under, everything was upside down. It was anything but the newlywed bliss they had hoped for. Times were tough because the renovation they had started on MacNean House at Blacklion had taken on a terrible life of its own. Amelda: “We couldn’t get staff. That was the hardest bit. I remember your auntie Kate knew a Polish priest who got us two chefs in Longford. They stayed for two years. “It was a real nightmare,” continues Amelda, of the period when they returned from honeymoon. “I remember once you crying on the phone to me and that was heartbreaking,” says Neven. Life was to get even tougher for Neven and his beautiful wife, after she gave birth to the couple’s first children, Connor and Lucia, on February 8, 2012, in Sligo General Hospital, and almost died in the process. She had heart failure after she gave birth to their twins and developed cardiomyopathy, a potentially fatal condition. How quickly did she recover? “I would say, within the year. I wasn’t very sick. I just had no energy. They tell you rest is how you get better, but you have new twins. My mum was a great help. We got through it. The sleepless nights were very tough. Two hours earlier, when Neven and Amelda are being photographed at Lough MacNean, we see the twins out playing with their granny, Eileen. Their other granny, Vera, sadly died of lung cancer on October 21, 2012. Neven (who is an ambassador for Target Lung Cancer in St James Hospital in Dublin) says that his mother was having chemotherapy and radiotherapy treatment when Amelda was pregnant. “We saw her suffer a lot for a couple of years, poor mum. Amelda was like a daughter to her,” Neven says, adding that his mother, who was 71 years of age when she died, was “a great influence on me. That’s where the love of food came from. She worked hard. She had a tough life, but a good life, reared a family of nine. “You know what I loved about her?” he muses. “If there was a bereavement in the area, she would bring roast chicken or soup. She had that community spirit. In October, 2001, Neven’s father Joe was involved in a car crash and later died at St James’s Hospital. He recalls standing outside the hospital, and crying. “My mum was heartbroken. My dad was killed on the road going into Sligo. Someone fell asleep and ran into him in a car accident. That was tough. We were absolutely shattered. It affected the whole family,” he says. “It was a real shock to the system, because the business was struggling and, after that, I said, I am going to focus on Blacklion and we kind of gave up Sligo to be truthful with you,” Neven says of the cafe in Sligo that his parents had opened up, to make ends meet, because “the business was struggling all along in Blacklion”. From a family of nine — Kenneth, the eldest is followed by Sharon, Sonia, twins Neven and David, Naomi, Suzanne, Alan and Carl — Neven was born on November 25, 1973. That period of Irish history, the 1970s and 1980s, in that border region of Ireland, in particular, was not an easy time in which to grow up. “It was really hard. The whole front of our restaurant was bombed twice during the Troubles by the UVF. Mum and dad closed from 1973 to 1989. Was he ever worried about walking home as a kid? Amelda, an only child, says that she and Neven, “have a lot in common. We enjoy the same things. Travel. Food. Simple stuff with the kids”. Her husband is beaming. Up here in Cavan with loved-up Neven, it is ‘The Ideal Homme Show’. Neven Maguire’s Home Economics for Life: The 50 Recipes You Need to Know, published by Gill, is available from September 21 nationwide, priced €22.99/ £19.99.